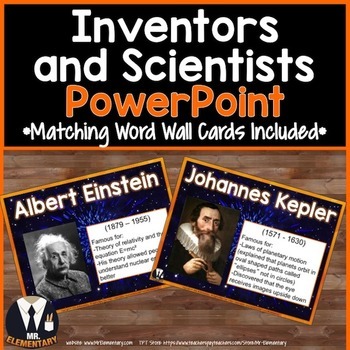 Inventors and Scientists PowerPoint and Word Wall Posters! 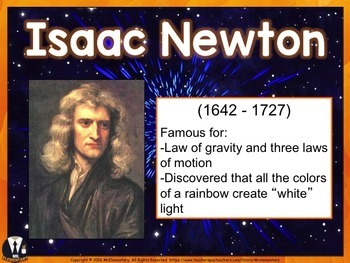 This is a FUN, EFFECTIVE way to introduce and teach inventors or scientists to your class. *Please Note: You will receive PowerPoint as a PDF to ensure the formatting stays the same. •	Click the green star near the top for updates on new products, freebies and sales! •	Feedback = TPT Credits for future purchases! Also, I love hearing how you used these! Check out my other SCIENCE products! 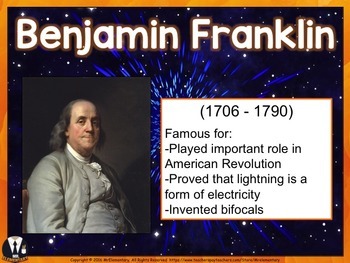 Thanks for looking at this Inventors and Scientists PowerPoint and be sure to check out the other trading cards and posters in my store!